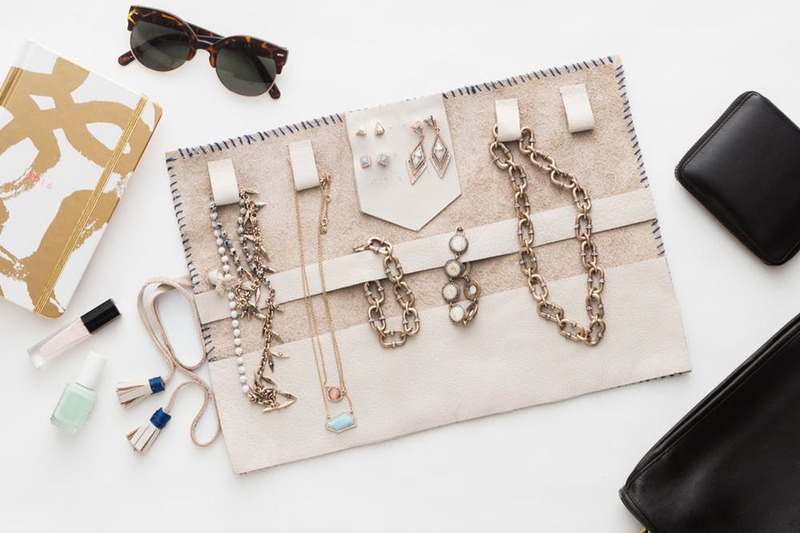 Why buy simple travel accessories, when you can get creative making your own customized pieces? Here are a variety of tutorials for DIY travel accessories that you can make in a weekend. Have fun tailoring the colours, patterns and designs to suit your style and keep you organized on the road. One item I rarely travel without is a jewellery pouch I got for my 18th birthday. 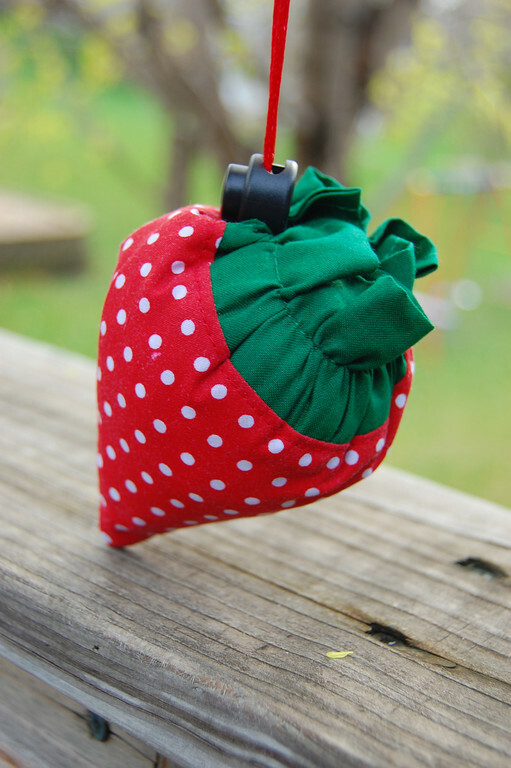 Make a similar pouch with this tutorial. 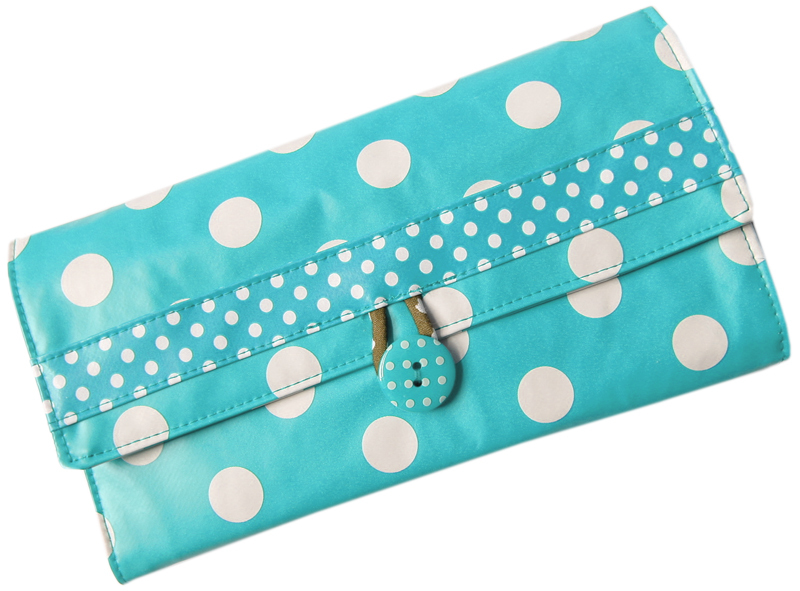 Though I’ve found this style invaluable for transporting earrings and rings, a jewellery roll like this one would work much better for necklaces. I’m a former audiovisual technician, and though for many years I successfully rolled cables for a living, my earbuds still end up in a tangle. 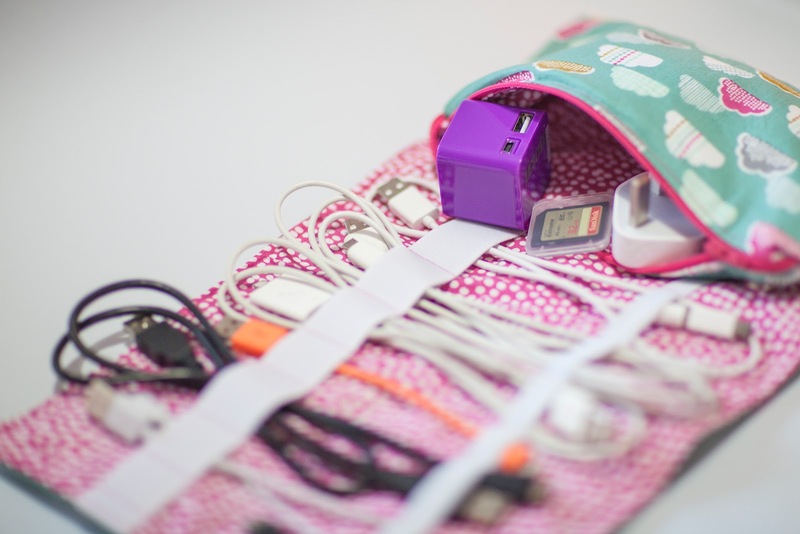 Avoid tech spaghetti, with a comprehensive travel organizer like this one, or a really simple cord “taco” like these. Lay your hand on what you need in a millisecond with these toiletry and cosmetic organisers. 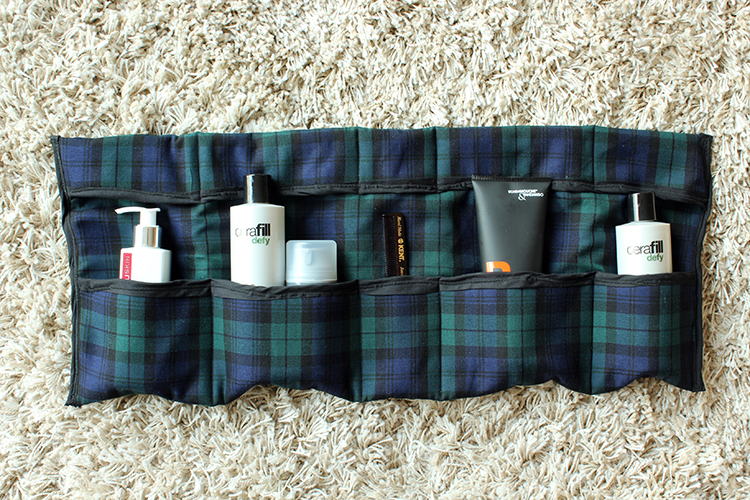 A hanging toiletry bag is my favourite style to travel with, however this is an advanced DIY, so tackle with caution. A simpler version is the roll or wrap, which can be adapted for holding just makeup brushes, or the whole kit and caboodle. Rolls like these can be simplified by using a fabric already finished around the edges, like a clean towel, tea towel or even a soft placemat. Protect and organize your passport, yellow book (vaccine records), boarding passes and other travel documents with a passport wallet. 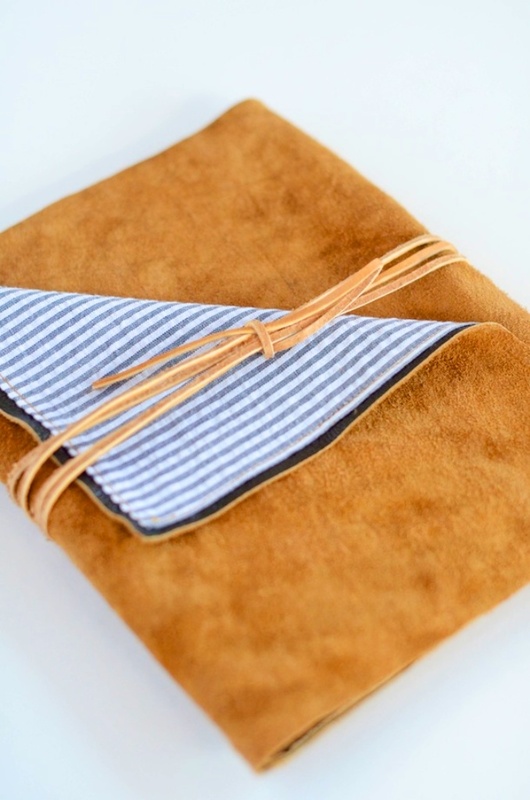 Make a simple leather protector, through to a family sized wallet for multiple passports. Personally, I recommend a longer style which will fit a boarding pass easily. Here’s a no sew version too. Make a set of colour coded drawstring bags for items such as shoes and laundry that you want to separate from other things in your suitcase or backpack. It’s always a good idea to have a spare bag with you when travelling, for those times you’re picking up some groceries at a local market, souvenir shopping, or going to the beach. 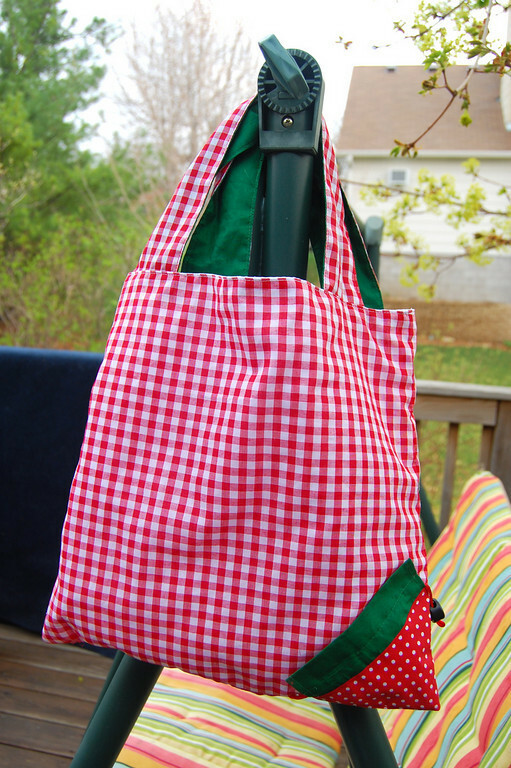 Create a foldable tote that takes up very little luggage space but expands to a very useful size. This strawberry tote is irresistible. Guard your electronics with these DIY tutorials covering Kindles, laptops, iPads and even flat irons. Scarves with secret pockets are a great way to keep valuables close and out of sight when travelling. Unlike those that you buy, this infinity scarf doesn’t have a pocket, but a zippered opening to the inside of the scarf. This means it’s simpler to make and you can fit more in your scarf, but also that items are loose inside. Another infinity scarf. This one snaps together so that you can open it up into a small blanket. Ditch those single use, synthetic eye masks they give you on the plane and BYO your own stylish DIY linen sleep mask. If you decide to make one of these projects, please share it with us in the comments below. We’d love to know what kind of customisations and improvements you made to tailor these DIY travel accessories to your style of adventure.